This is an early carved bowl by Nancy Youngblood. The bowl is from 1977 when Nancy was just 22 years old! The shape is a classic bowl and the feathers are carved into the clay. Note the depth of the carving! Each feather is symmetric and precise. 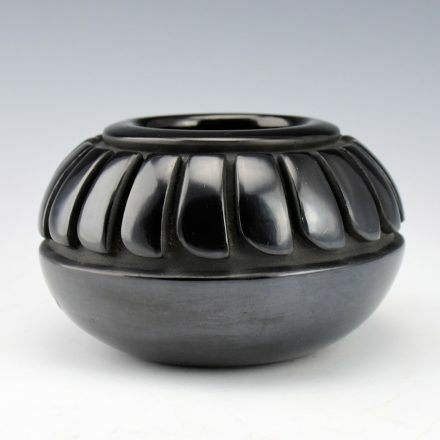 The entire piece is very highly polished and fired a deep black. 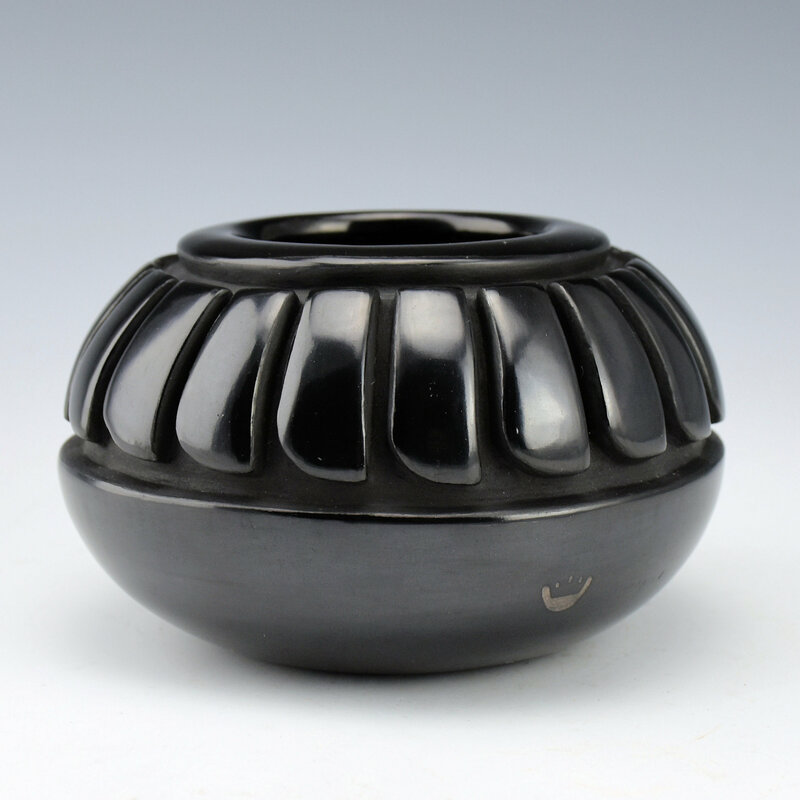 It is easy to see looking at this bowl the level of talent evident in her early work and how that same precision in carving and polishing is still part of her work today. In the area below the shoulder, there is also a carved bear paw. It is a charming addition to the overall design. 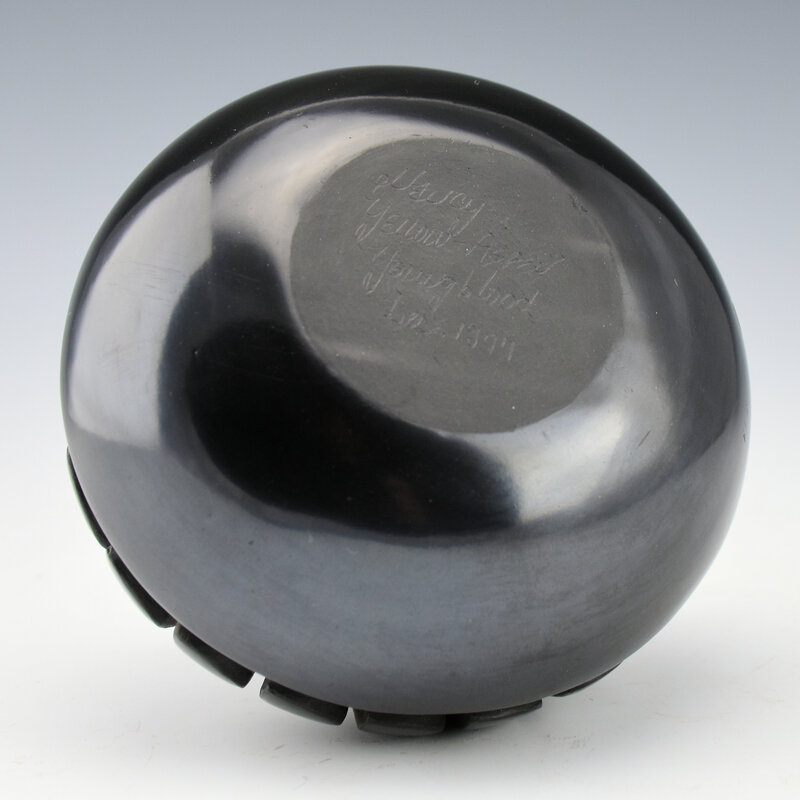 The bowl is signed on the bottom in the clay, “Nancy Yellow Aspen Youngblood, Dec. 1977”. It is in excellent condition with no chips, cracks, restoration or repair. It comes to us from the collection of Georgia Loloma, the wife of noted jeweler Charles Loloma.